Tesla car taxi service — sounds like future, right? The future is here — meet ZEV, the first eco-friendly mobility service in Taiwan. Now you can take a ride on a Tesla for a fair price and help to save the planet. 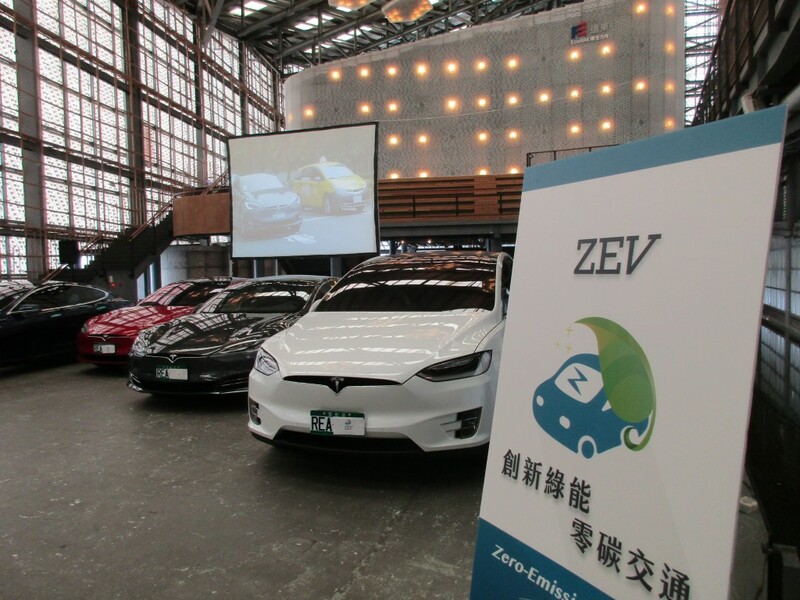 Air pollution has become the main concern in populous areas of Asia, so Zero-emission venture company (ZEV) came up with a great idea — offer uber-like service using the Tesla electric cars in Taiwan. Now you can take a ride and save the planet at the same time for a fair price. 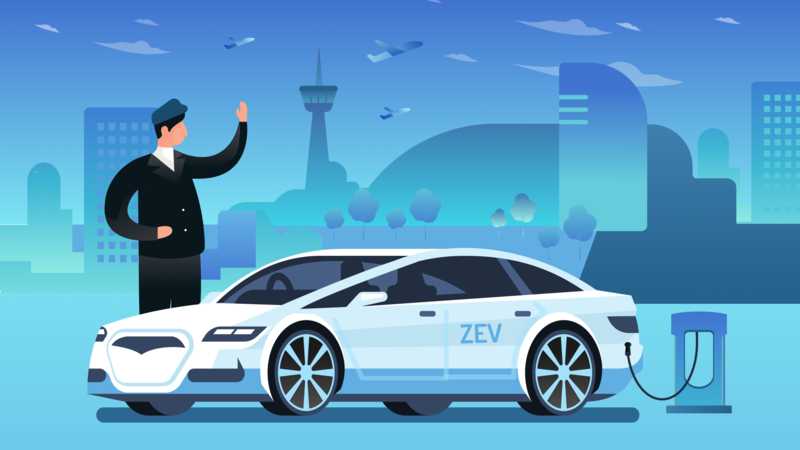 ZEV was always thinking about creating a service that can be not only convenient for riders but also comes along with an environmental governmental plan. The idea was elegant — they launched brand new service — environmentally friendly ride-sharing service using only Tesla cars. This initiative became a part of the public plan to ban the sale of gas-powered motorcycles by 2035 and cars by 2040. To be innovative means to choose a reliable technological partner. We all know, that the user-friendly application means a lot when it comes to taxi services. For example, Uber, and how they changed the game with their app. The system should be stable, support team should be in touch almost 24/7, UX/UI design should meet the needs of riders used to tech — so ZEV turned to Onde to develop a white label customer application that will satisfy both riders and drivers. Onde launched applications are available for both iOS and Android devices. Everything was ready — and ZEV launched in all its glory. Tesla electric cars only. The aim was to provide the most sustainable transportation method by adopting new technological cars and minimizing lifecycle emission from energy sources to vehicles. Zero emission. Imagine — no engine exhaust during a quiet and luxury journey. With the Model X, Tesla put a lot of effort into developing a more powerful air filtering system in order to not only contribute to the reduction of local air pollution with electric vehicles but also to reduce the direct impact of air pollution on the occupants of its vehicles. Zero air street pollution...and even more! Every car has a pollution sensor and every journey helps ZEV to collect air quality data and identify air pollution sources. The collected data can be shared with private and public sectors to inform environmental protection measures. Clean energy generating. The main goal of ZEV is generating an equal amount of clean energy of their fleet by 2021. All profits are committed to more green power sources. Client-oriented service. After every trip passenger will be rewarded with “points” which can be used to obtain a discount for the next journey. ZEV pioneered saving the planet and providing high-quality service at the same time. They have a significant point of difference to competitors because of the app ease of use, the comfort of Tesla cars and environmental focus. Hard work and patience make a dream come true and we are happy to become part of such an important initiative. And remember — all your bold business ideas can come true with Onde solutions. LEFA is an on-demand application for ride-hailing in Windhoek, the capital of Namibia. Since reliable internet connection was available everywhere in the city - it was the right time to introduce high-quality ride-hailing services. Eugene Gurnik is launching the first service of personal drivers with premium vehicles in Ukraine, Nobil. Where the idea of this business comes from? How to plan a perfect launch for a mobile app with luxury taxis, ideal for corporate clients? How did Greenr Cabs manage to launch a successful taxi startup customers from the whole world are over-enthusiastic about? Fabien Courtellemont, managing director and founder, tells everything about starting a taxi business and helping it grow well.